we didn't originally plan to spend a weekend in philadelphia because we thought we would get some time there through the school (see this post), but after our small taste we knew we needed to go back. we spent saturday and sunday there, and seriously feel like we needed so much longer! there is so much to do and see. our trip was so fun though and we left with the sorest feet from walking miles and miles. we got there saturday afternoon and went straight to eat, naturally. 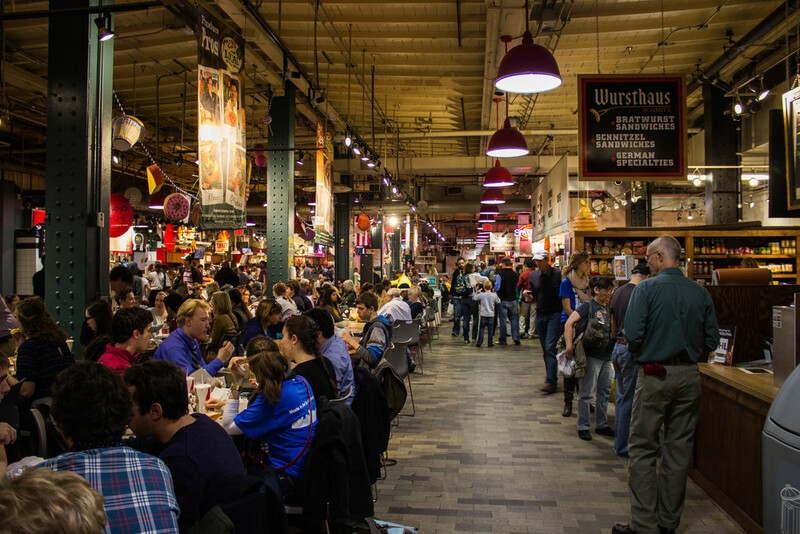 we headed to the reading terminal market- which competes with borough market for the best food market of all time. and if you remember this post, i love, i love borough market. so this is almost blasphemy. we tried to eat as many different stalls as we could. don't worry, we spread all this food over three different visits. jarman ate at dinic's last time we were there, and that may have been the best pork sandwich ever. my personal favorite was the valley shepherd creamery. i got a fresh mozzarella and tomato sandwich the first time and it was to die for, their boylan's cream soda is also delicious. however, my second time i got a grilled cheese with mac and cheese and brisket and i didn't love it, though it is their most popular dish. we also tried a crepe place, which was fine but nothing special. a bratwurst place, which was delicious but a little too spicy- i'm sure if you order the right thing it is amazing. a goat cheese and onion flatbread that was delectable. a smoothie that was spot on. a butter bar that tastes better than it sounds. some amish donuts that were fancier than they sound. however, the most important thing you need to know if you ever go to the reading terminal market: get an ice cream cone from bassett's ice cream. it was literally the best ice cream i have ever had, and i have eaten a lot of ice cream. i went with the double chocolate and a waffle cone (i'm not really sure what else you would order). i almost couldn't share with jarman it was so good. i was ravenous to say the least. next we took a really pretty walk from the market up to the eastern state penitentiary. we passed the shakespeare memorial and the city hall. 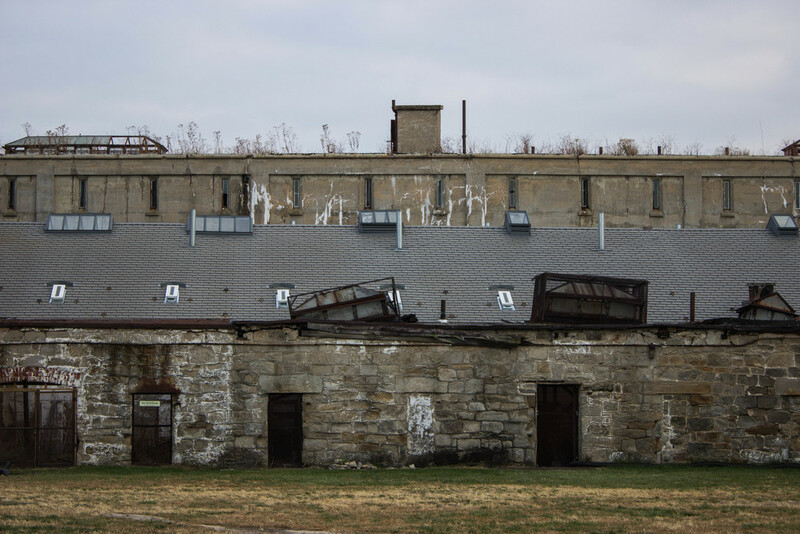 the eastern state penitentiary was pretty awesome, it was one of the first real jails in the state's and reformed the whole system. al capone was housed here for a time (can you guess which swanky cell was his?). jarman loved visiting this place, and i love photographing it- the crumbly walls were killing me! 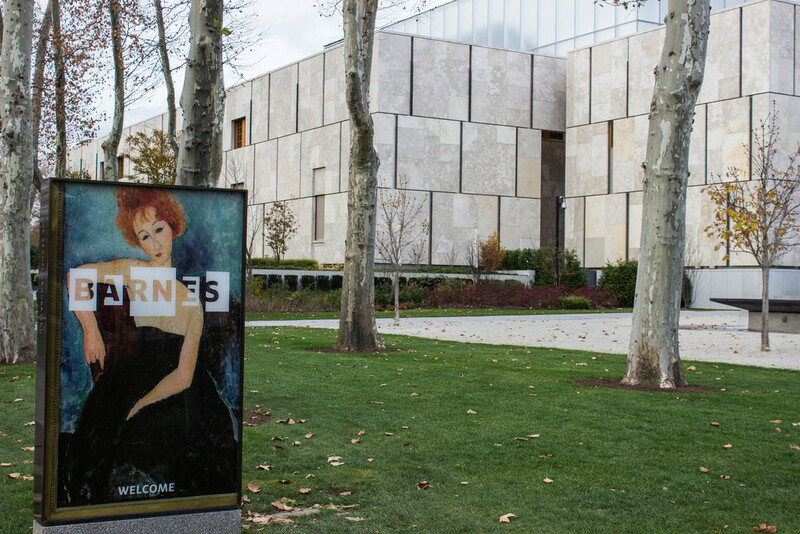 that evening, after we checked in to the hotel, we headed to the barnes foundation. their philosophy on museums is kind of interesting: they don't believe in signage, they want viewers to just see the works. it was pretty cool- there were some amazing works. renoir was the barnes' favorite artist which kind of drove me crazy, no one needs that much renoir hanging on a wall. 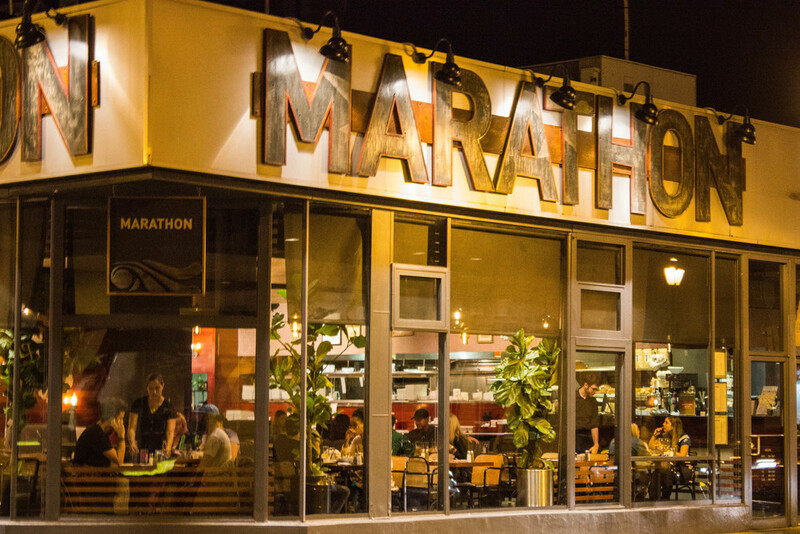 we ate at marathon that night, which we thought was very fitting because so many people had come to town that weekend to run a marathon (why, why would they do that?). then we got cookies from insomnia which were crazy good. the next day we slept in, because why pay for a hotel if you're not going to take advantage of the comfy bed that is way better than our rock hard murphy bed. so worth it. we headed back to the reading market for more deliciousness. then we trekked up to the philadelphia museum of art, which had some amazing works. we did not have nearly enough time there, i could have spent hours! i was most excited about duchamp's fountain that was there. so awesome. 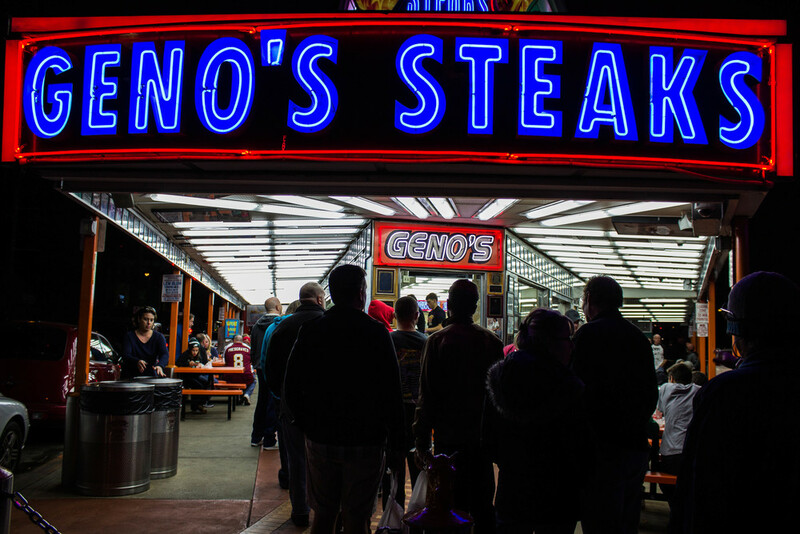 we ended our trip the right way, by going to south philly and getting an original cheesesteak. at first, i didn't think it was that great, but it kind of grew on me and i loved it by my last bite. i really wish we had more time, someday we will be back for you philadelphia!